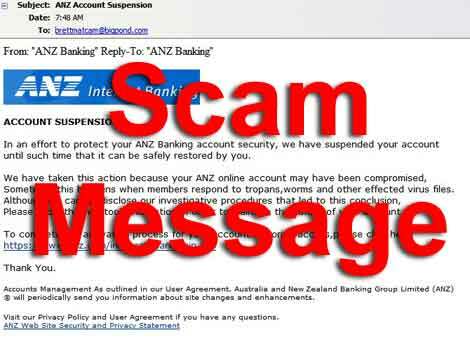 Beware Of Phishing Scams, Vishing, And Other Smishing ! Better Business Bureau has published a list of top 10 scam that seems not only to the biggest scam in 2010, but what to watch in 2011. Each of the new season of the show to attract new scammer port provides an incredible offer: Roofing in the spring, paving contractors in the summer and heating contractors in the fall. These entrepreneurs fraudulent use of high pressure sales tactics to scare people with expensive even worse - a job that is not the way to contact them if you do not - and often useless. Tip: Do not give in to high pressure sales tactics. Take the time to do your due diligence, to obtain the name and location of the company and ensure all the details and verbal promises are included in the contract. If you do not sign the agreement and would like to change my mind, BC law, if it was door to door sales contract after you have 10 days to withdraw from advising the company. Suspicious door-to-sale must inform the Consumer Protection Act, BC 1-888-564-9963 or www.consumerprotectionbc.ca. Online ads can groped to try a diet product, acne cream or bleach your teeth, but be careful when signing the so-called "free" trial offers. Many sites offer free trial products do not disclose the terms and conditions for billing on their website. Before giving the company a credit or debit card, please visit the site and be fully aware that the practice can lead to recurring billing. Tip: Consumers are invited to consider whether the evidence offered in enrolling a member subscription or service contract, which allows the company to charge the credit cards. Find a business relationship bbb.org reliability. Consumers have reported losing large sums of money to respond to ads that "guarantee" loans to people, often online. Consumers fill out a credit application and told the loan (from $ 5,000 to $ 100,000) was approved and funds have been promised once the payment has been paid. After payment, the loan has never been as promised. Quick Tip: It is illegal for a company to charge a fee up front to get a loan even if the fee is disguised as payment of the first month or last. See, for claims to "guarantee" loans, even if you have bad credit, no credit or bankruptcy, and requires that you wire or send money before you can get a loan offer confirmed in writing. Report suspected fraudulent schemes to the local police and the Canadian Centre for Fraud at 1-888-495-8501 or www.antifraudcentre centreantifraude.ca. Social networks like Facebook and Twitter are increasingly popular. Users are often subjected to targeted advertising and direct mail, and scams of all colors use social networks to run. fraudulent job working at home are sent via tweets and Facebook messages, misleading "free" trial and announced "Clickjacking" in Facebook convinces users to post malicious links on your updates. Quick Tip: The computer must always have the latest update installed for spam filters, anti-virus and anti spyware software and a secure firewall. Using the most current version of your browser to provide additional protection. Be wary of strangers messages from friends and above will direct you to another site via a hyperlink. Identity thieves are constantly looking for ways to find and exploit new technology is a boon to deceive unsuspecting users. "Phishers" send e-mail scam that seem legitimate, and asked that the account information is updated. The recipients will be sent to a fake site, but impressive and are asked to enter their data in detail. Vishing attacks come from the phone, usually recorded message that tells users to call toll free. The caller is then usually required to kick the credit card number or other personal information. smishing scams target mobile users send text messages that ask recipients to sign up, it downloads a virus or a warning that consumers will be charged unless you cancel your order by going to the site, then extracts such as card numbers credit and other private information. These are all tactics to get you into revealing personal or financial information. Tip: If you receive these messages, simply remove and do not click on any link, the caller and receiver are not familiar with. Never give your credit reports online or by phone if you're not sure of the identity of the caller. If you are a victim of identity theft, call the financial institutions to cancel the card and re-issue new ones. Contact the local police and credit agencies of Canada survey: tuc.ca Trans Union Canada (1-800-663-9980) and Equifax equifax.ca Canada (1-800-465-7166). Phone scam targets grandparents who believe themselves to help their grandchildren by sending money for an emergency, but in reality, gives thousands of dollars to scammers. The victim receives a phone call from a distressed person he believes to be his grand-son, who generally said that he was arrested or involved in a car accident and need grandparents to wire money to pay a deposit or to pay damages - usually equivalent to a few thousand dollars. Tip: Keep an eye on a common tactic. Scam caller might say, "It's me, your favorite nephew" or "Grandma, you know who he is?" Grandpa is to guess the name of his nephew seems the most similar, and the call proceeds from there. Other scammers search Facebook profiles to find out when the grandchildren and other family members are out of town, before putting them in the call at the right time. Older people should always check the status of the individual to check the story for other family members before other actions, such as money wiring. In times of economic crisis, the artists target the unemployed and the other through work, home, work online and Mystery Shopper Scams. online job hunters were told that they are paid to work from home when the payment is posted to the start-up kit, which never comes. The mystery shoppers are hired by bank transfer service secret shopping, they sent a check, told to deposit the money to keep a small portion of their salary, the handler off and then a full report on the service will meet. The so-called office often proves to be false, the flush of money transferred to another unknown destination. In the end, false or forged receipts, he discovers that the victim just days later, when it is returned to the bank, and are out of the money is transferred. Quick Tip: Beware of work at home and mystery shopper ads in newspapers or online job postings. In most cases, these services can require you to pay money in advance. Avoid companies that promise guaranteed employment, and sells lists of companies that provide mystery shoppers. Check BBB first. You may have heard the motion for new investment opportunities in your neighborhood. Maybe a good friend or family member has invited you to attend the presentation. These investments appear profitable, but are often more hype than substance. Participants do not know anything about the company, desperate to hear that it is regular. Promoter to convince investors that they can be part of the owners of the portfolios he goes for new employees, often promising rewards. briefing, ask questions: Who are the principals of the company? What are the average wages of a typical participant? What does it cost to start? Collect as much information as possible before you accept anything. Small business owners are often targeted by criminals. invoices unauthorized unordered packages and business directories are wrong all the tactics commonly used to defraud the companies money. Many companies have been a Sosie bills or false advertising space in the pages familiar, locally distributed yellow. These bills are actually calls to lists in alternative business directories that differ from the familiar Yellow Pages. Indeed, the library is not widely different, may be of little or no value to advertisers or perhaps never been published. Tip: Companies can protect themselves from their view, the accounting department or the debtor bill is in search of stress completely masked and suspicious invoices with undertakings which would not normally do business. buyers and sellers online, especially those using sites like Craigslist and Kijiji, are potential targets for scams too. A person who sells the product is contacted by someone claiming to be interested in buying the product. The buyer arranges for payment by check and offers even more than the value of the product, ask for extra money to be returned to them by check or wired to an account. The check turns out to be false, leaving the sender of funds and products. Quick Tip: If you sell a product and the buyer agrees to pay by check for more than the asking price, stop here. The money is wired back will be lost and the person who cashed the forged check, will be on the hook for the full amount. Online shoppers should be wary of offers that seem too good to be true, as items for sale below market value. Vendors say stay out of the city and I would ask for shipping charges to be connected to them, when in fact, this property does not exist.